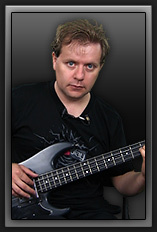 Enjoy JamPlay's free online bass tuner. Simply select what you would like to tune your bass to and use your microphone to set up your instrument. Click the play button next to each string. Play your We hope you enjoy our online bass tuner! As always, any and all feedback is greatly appreciated. Did you know? 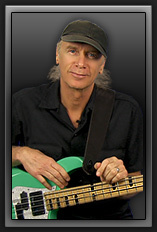 JamPlay now features video bass lessons from legends such as Billy Sheehan (Mr. Big), David Ellefson (Megadeth), and Bryan Beller (Dethklok)! 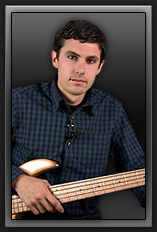 Learn more about our online video bass lessons! Over the past 12 months, we have been assembling a broad collection of veteran players to kick off our launch into the instrument. Find our current roster of teachers below, and keep in mind; this list will continue to grow as we hire new instructors to expand our platform. Quite possibly the best bass player on earth and legendary figure in the almanac of bass players, Billy brings a wealth of knowledge to the JamPlay platform. Five time winner of the "Best Rock Bass Player" readers' poll from Guitar Player Magazine, Sheehan teaches everything from beginner lessons on scales and posture, to advanced lessons on two hand tapping techniques. 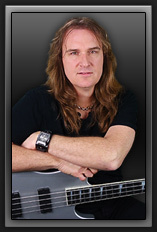 David Ellefson has been a mainstay in the rock and metal communities for over 25 years. Internationally acclaimed as the bassist and co-founder of Thrash icons Megadeth, he is known for his unique and hard hitting style of bass playing, as well as his versatility in a wide variety of other musical settings across the globe. David has carved a vast musical career as a bassist, songwriter, record producer, clinician and author of his book "Making Music Your Business…A Guide For Young Musicians". 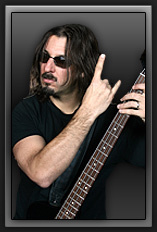 Famed bassist for Steve Vai, power-trio "The Aristocrats", and Metalocalypse's very own "Dethklok", Beller has over 20 years of experience as a studio and touring musician. Graduating from the Berklee College of Music in 1992, he has also served as a contributing editor for Bass Player magazine. Beller contributes a critically important series of lessons to the JamPlay platform, with a central focus of identifying and playing songs by ear. Bassist for legendary Sumerian Records metal band "The Faceless", Brewer offers a diverse and unique pallet of influences, brilliant technical prowess, and an unconventional approach to music. 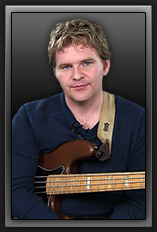 Brewer offers JamPlay.com subscribers a full curriculum of bass education; beginning with lessons for the absolute beginner, and advancing to in-depth lessons for developing bass lines and perfecting techniques. 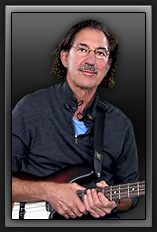 Larry Cook has been an in demand bassist and arranger since his professional debut in 1997. Equally adept on acoustic and electric basses, he graduated from Capital University in 2004 with a Bachelor's degree in Jazz Studies, where he studied with such musicians as Lou Fischer, Stan Smith, Mark Morton, and Andy Woodson. He has performed with artists as diverse as the Columbus Jazz Orchestra, Megan Palmer, and Bobby Floyd, as well as legends such as Mavis Staples, Kirk Whalum and Lou Marini. Alan Skowron is an accomplished guitar performer and instructor in the Northern Colorado area. Alan has been a part of many groups over the years, such as the Wilson Winner Jazz Quintet, Monty Hogan Jazz Quartet, Dominant 7, Illusion, Albion Kross and most recently, Cab Night Rendezvous. Alan has been featured on many radio programs and is an active member of the Northern Colorado Classical Guitar Society.